Introducing a fragrance that embodies the modern and elegant man. Bleu Noir Eau De Toilette redefines masculine sensuality with a clean scent, sharp yet enigmatic and extremely seductive. The woody based notes of ebony, cedar and vetiver are exalted by the freshness of top notes of cardamom and nutmeg while the heart of musk, the distinctive feature of Narciso Rodriguez, adds a hint of mystery. With its raw sensuality and its deep elegance, the scent of For Him Bleu Noir Eau de Toilette leaves a trail of magnetic desire and adorns the skin with a beautiful confidence. The fragrance captures the epitome of modern men with great depth and clarity and a unique spirit. An addictive and essential perfume. Explore the entire range of Perfumes (EDT & EDP) available on Nykaa. 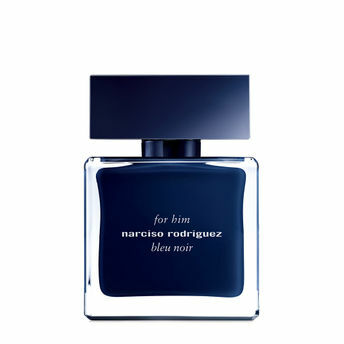 Shop more Narciso Rodriguez products here.You can browse through the complete world of Narciso Rodriguez Perfumes (EDT & EDP) .Alternatively, you can also find many more products from the Narciso Rodriguez For Him Bleu Noir Eau De Toilette range.